Cristiano Ronaldo has been spotted with his family and friends after completing his widely reported move to Juventus. It has been a busy week for Portuguese star Cristiano Ronaldo. The 33-year-old made an astonishing £100million move to Juventus on Tuesday after Real Madrid granted him permission to leave the Santiago Bernabeu. Ronaldo met Juventus club president Andrea Agnelli on Tuesday afternoon in a hotel in Greece, where he is on holiday with his girlfriend and family, before agreeing a four-year deal worth an estimated £500,000 a week. And on Thursday he relaxed and spent time with his family and friends. 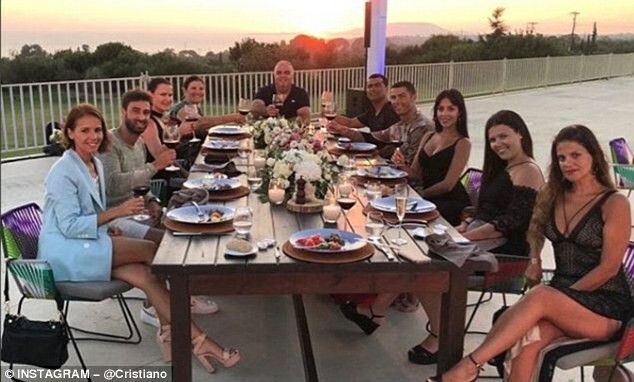 Ronaldo posted a picture on Instagram with nine other people eating dinner outside with the sun setting in the background. 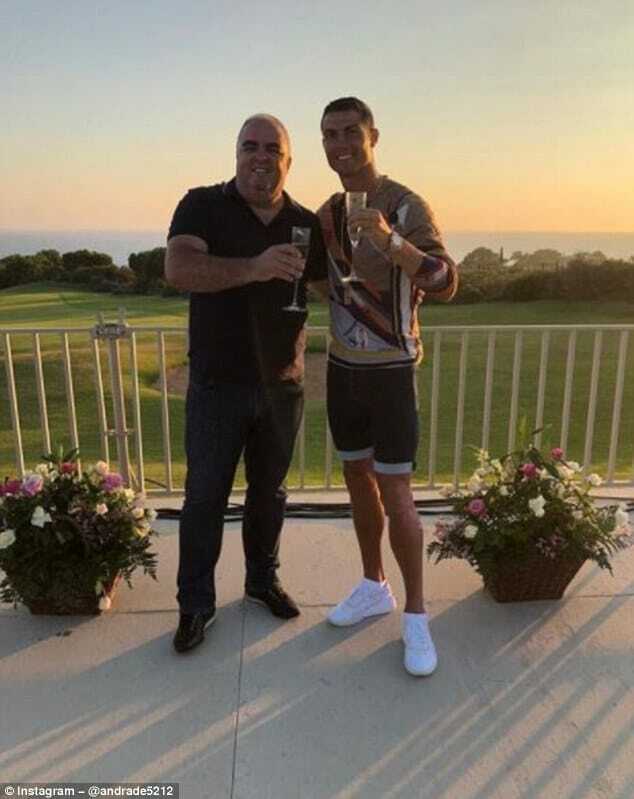 Jose Andrade, who is Ronaldo’s mother’s partner, also uploaded a photo to the social media platform. The picture was of the pair together toasting to the new chapter in Ronaldo’s career. Ronaldo leaves Madrid with a legacy littered with smashed records and a haul of trophies. He is the Spanish club’s all-time top scorer with 450 goals in all competitions and won two La Liga titles and four Champions League trophies with them. 0 Response to "See What Ronaldo Was Spotted Doing With Family And Friends After Completing Juventus Move (Photos)"